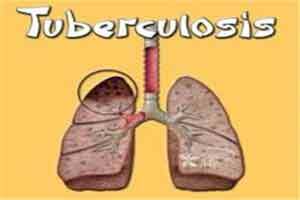 New Delhi: Concerned over the rising number of multi-drug resistant (MDR) tuberculosis cases in the country, the health ministry will introduce a new drug in a “controlled manner”. As a pilot, 400 courses of Delamanid will be rolled out in five to six states as part of the conditional access programme under the Revised National TB Control Program (RNTCP). According to a senior health ministry official, Delamanid which is in its phase 3 clinical trials, has been given approval by a technical group on tuberculosis in the ministry. The ministry had launched Bedaquiline drug for treatment of drug-resistant TB in 2016 and currently it is available in Delhi, Chennai, Mumbai, Guwahati and Ahmedabad. “Delamanid and Bedaquiline will be used for the treatment of tuberculosis in combination with other drugs parallely. Delamanid can be an alternative. “We need more than one drug for treating TB because of increasing drug resistance in patients in the country,” said Jagdish Prasad, director general of health services in the ministry. Prasad said that at present half of the patients do not respond to tuberculosis treatment as they have developed resistance to the drug. According to World Health Organisations (WHO) TB statistics for India for 2015, there were an estimated 22 lakh cases in the country. I feel, amongst all the places the Govt must also introduce the drugs in Sikkim. There is a considerable load of MDR cases.